The bedrooms are luxurious and magnificent a dream of everyone. 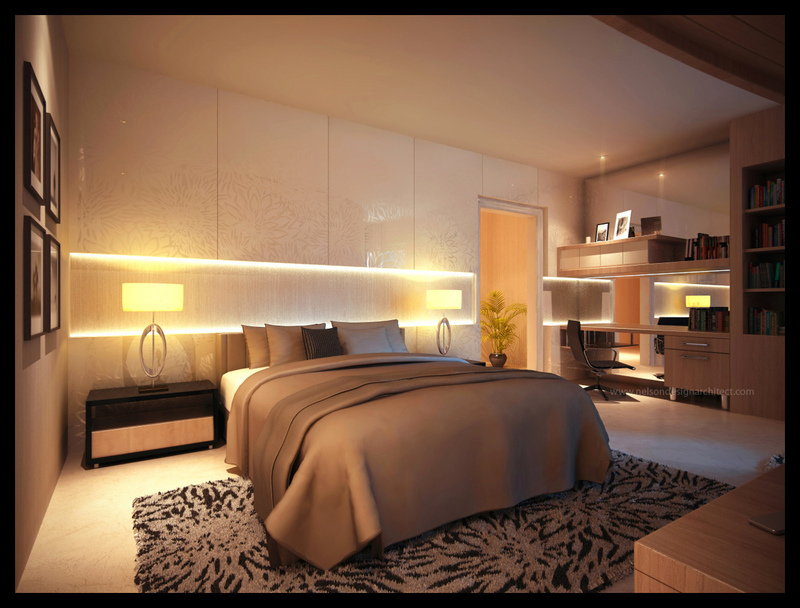 The bedrooms are not only to be neat and clean, yet luxurious design could be the reason everyone to make the bedroom as a place to sleep favorite.Bedroom with shades of dark glamor and an option to make your bedroom look luxurious. Japanese ornaments make you like being in Japan. With black and dark impression of the atmosphere will be more comfortable sleep. 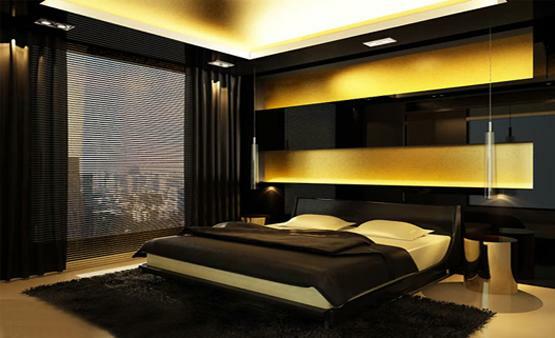 The dominant color of the walls with black color can be your choice to design the room luxury and glamor. The walls were designed as Japanese ornaments and large black cupboard. Large cupboard shape up to the towering ceiling and dark and red ornaments plus right around the handle of the cupboard. Right in front of the cupboard given little cavity so that the bed looks are in the middle and added embellishments such as diamonds just below highlight lamp.And cupboard there is little space to put decorations such as statues or other objects.